Roughly two months ago, I was experiencing some… issues. The kind of issues that no one likes to talk about, but funny enough, many of us experience on a somewhat regular basis—bloating, constipation, the like. While I will spare you most of the gory details, I'm also kind of sick of acting like this kind of thing never happens. It's life! Our bodies are imperfect, and every day they're just doing their best to get us by. I definitely appreciate my body's good behavior more than its bad, but no one likes feeling bleh and bloated—sh*t happens! Now, I can't tell you exactly what was causing the variety of symptoms I was experiencing, but it came on pretty quickly and pretty randomly. In hindsight, I think it was the cumulative result of multiple factors: stress, anxiety, lack of water, and a somewhat regular pattern of poor diet choices. Eek, summers are hard. Anyway, it all came to head when I had reached day five or six without, um, going to the bathroom. I was so uncomfortable that I quite literally looked over at my fellow co-worker Amanda (we're also close friends and roomies, so it's fine—she's fine), gave her an exasperated expression, and typed out a message to her briefly telling her of my woes. I think it read, "Girl, I haven't gone to the bathroom in like a week, and I feel like I'm going to die." Except, of course, I didn't say "go to the bathroom." We laughed, of course, but honestly, I felt like crying. I was uncomfortable, my clothes were tight, and I needed a fix stat. Clearly, my daily lunches of salads, exercise routine, and water intake weren't working the wonders I thought they should be. To be honest, I had even tried an OTC laxative in a moment of desperation and even that didn't work. Dire days, folks, dire days. Alas, as I was cleaning up my workspace later that day, I came across an unopened bottle of digestive enzymes from Hum Nutrition. I quickly scanned the label and after executing a few quick Google searches threw them in my bag and made my way home. It's recommended to take one pill before lunch and dinner, or whatever your two biggest meals are, so I decided to take one prior to an extra-early bite as soon as I walked into my apartment. This better work, I thought to myself. Fast-forward a couple days and multiple capsules later, and I was on cloud nine. I had gone to the bathroom (multiple times! ), my belly felt flat again, and I no longer felt the impulse to crawl out of my own skin. It was a success, and since then I've added a few additional supplements to my routine that have amped up the aid even more. I've never felt better, and in addition to feeling flatter and lighter, I also have more energy, less brain fog, and better sleep. Because I know I'm not the only one who has felt silently tortured and tormented by the state of their tummy and gut health, I wanted to share the non-gimmick supplements that have pulled their weight in terms of real, noticeable results. Since I was also curious to know which supplements my fellow editors at Clique Brands (Byrdie's parent company) swear by, I asked for all of their non-gimmick, holy-sh*t-this-works recommendations as well. 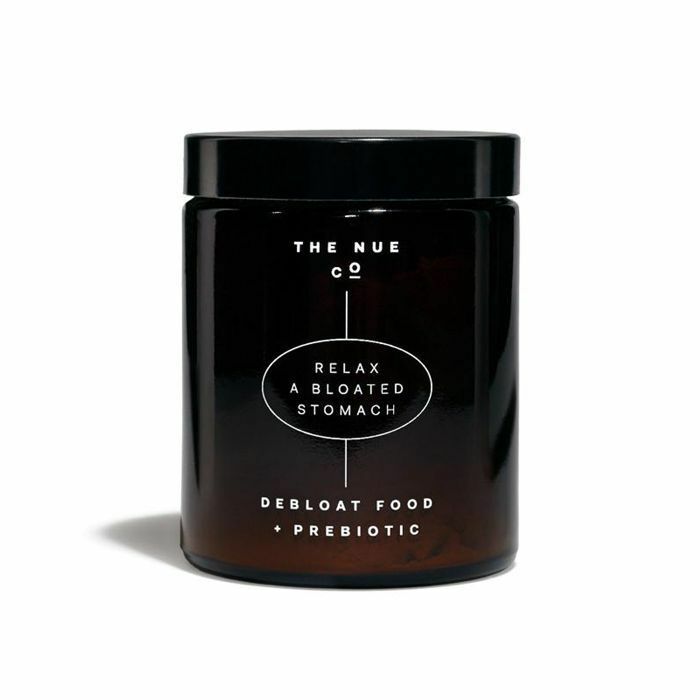 Ahead, the best supplements for a flatter, healthier, happier tummy. 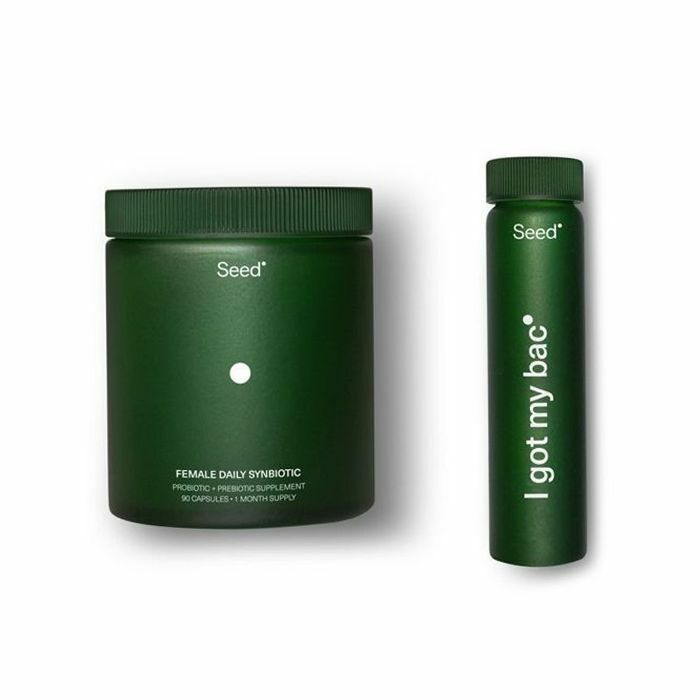 "The label on Seed's probiotics says it'll help with digestion and metabolic and immune health. That right there signaled taking them may be helpful in getting rid of some of my unwanted bloat. But the reason they work lies much deeper in the science of it all. According to Seed co-founder Ara Katz, your gastrointestinal system is entirely connected to the rest of your body, as it sits at the core of it all. 'It's connected to and influences everything from immunity and metabolic function to cardiovascular, skin, and urogenital health,' Katz says, adding that though transient microbes and probiotics do a lot of things, one of the helpful effects as far as bloat is concerned is that they trigger neurotransmitters that stimulate muscle contractions (and easier bowel movements). This bacteria also produce butyrate, a byproduct with powerful anti-inflammatory effects. I've been taking the supplements for almost a month now, and I've never been less bloated—before, during, or after my period." "The secret to this supplement from Love Wellness is the digestive enzymes, an element we begin to lose as we age. It also has dandelion root, a natural laxative and diuretic, as well as fenugreek, which encourages mucous production in your digestive system to get things moving. "I recently met Lo Bosworth (the mastermind behind the supplement) at a workout event with The Sculpt Society She told me how they're very effective but that they'll make you urinate frequently since they're a natural diuretic. Since I drink so much water as it is, this wasn't a deal breaker for me, and I was on the verge of my period, so the bloat was real and I was willing to try anything to de-puff. As expected, I was making more trips to the bathroom. I'll spare you the details, but I will say, take note of the laxative effect and plan your day accordingly. While probably uncomfortable at first, you definitely get… cleaned out, so to speak, which knocks the bloat out of the park. Within a few hours of taking the supplements (two with water after a meal), I could actually feel my waistband loosen. I offered some to senior editor Hallie Gould, who told me she also felt less bloated and 'lighter' throughout the day." "While I normally don't take health advice from strangers on the internet (and don't condone doing so), desperation with my bloating and familiarity with activated charcoal led me to the Whole Foods after learning it might help relieve my ongoing symptoms. 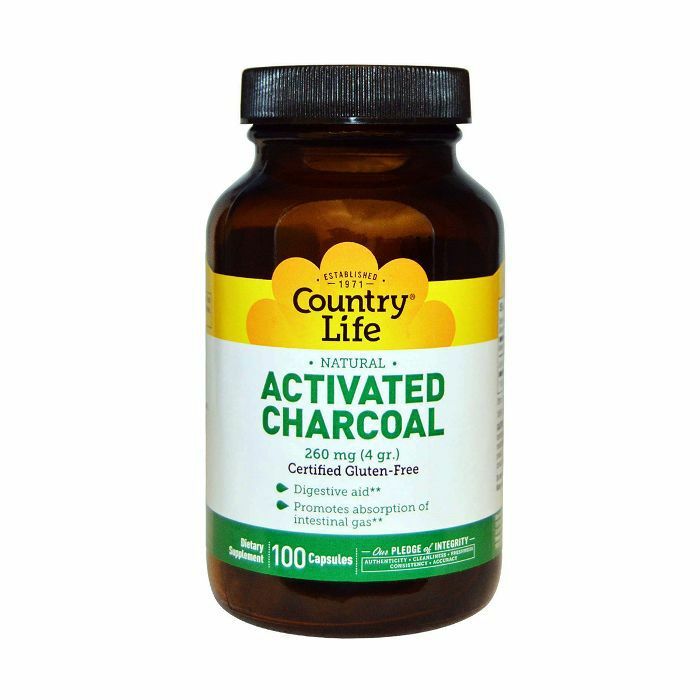 After purchasing Country Life's activated charcoal supplements for $10, I popped two capsules per the instructions, went to bed, and woke up feeling like the balloon in my stomach was slowly deflating." "I love this strategic powder for a number of reasons. One, I hate taking pills, so having something I can just dump into whatever I'm eating or drinking is a fabulous strategy for me. Two, it makes anything it touches that much yummier (with cinnamon, turmeric, ginger, and maqui fruit, it has a warming flavor profile perfect for fall). And three, it effortlessly soothes my stomach and keeps it feeling flat and balanced. 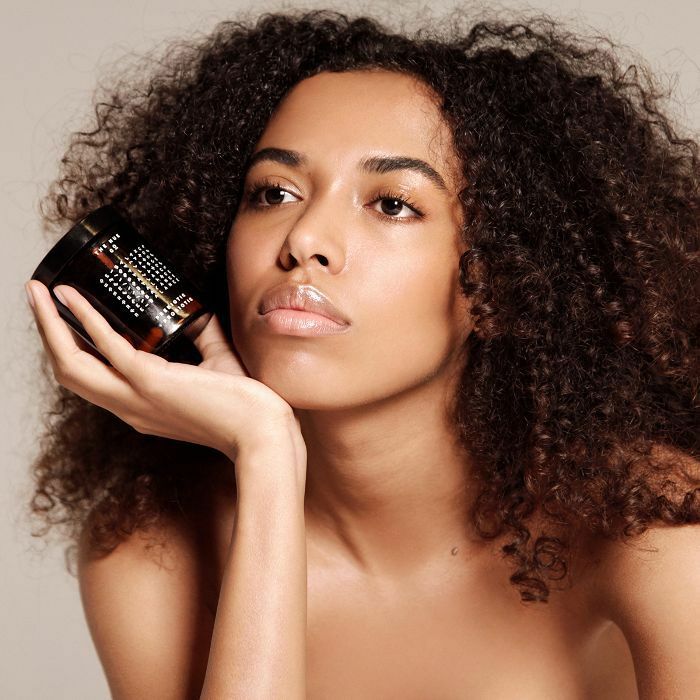 "As the company's CEO and founder, Jules Miller, told me, the brand was born and inspired by the issues she herself faced with IBS. Therefore, that's where the focus lies. 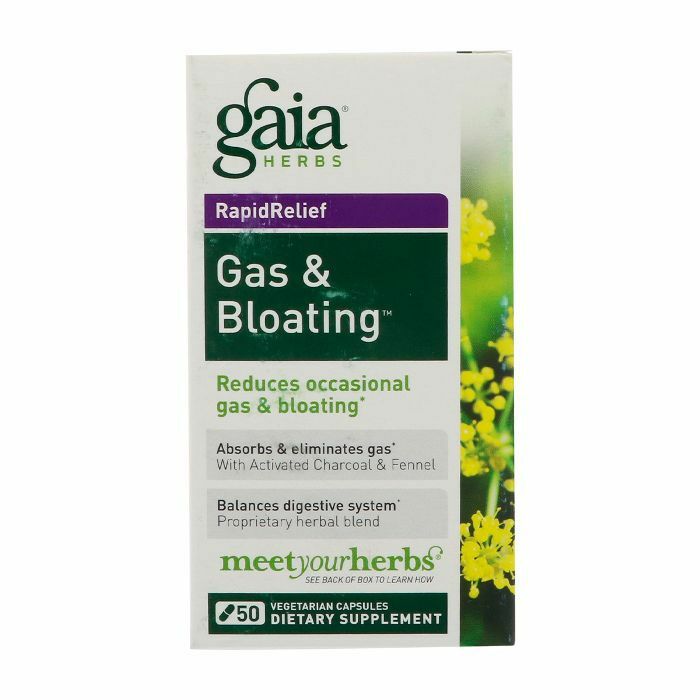 This powder, in particular, works almost instantly to relieve bloating and calm an uncomfortable stomach. While Jules loves taking hers with warmed oat milk and honey (which sounds divine, by the way), I've found it easiest to blend into my morning lattes or smoothies. It's become a daily ritual that I love." "After instituting this nightly ritual, which I didn't think would do anything, I began to notice that like clockwork, I would wake up each morning and go to the bathroom. It was actually amazing. It allowed me to start the day feeling light, completely cleaned out, and, yes, detoxified. The key players include the aforementioned chlorophyll (which the brand says binds to toxins and helps eliminate them from the body), magnesium (aids stress, digestion, and toxin elimination), and a smart mix of 72 trace minerals (to detoxify the body, balance pH, and replenish hydration). 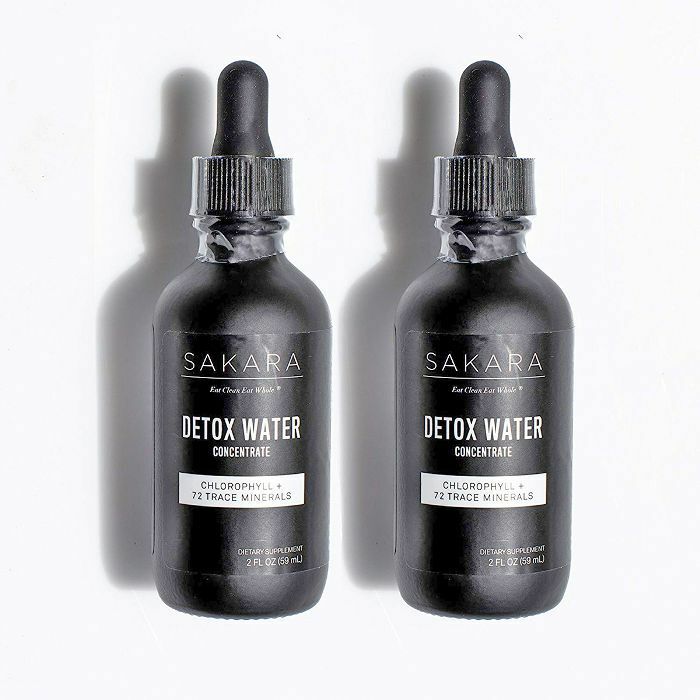 I'm obsessed, and I'll definitely continue the nightly practice post-Sakara." "Ahh, the magical supplement that started it all! A proprietary blend of 18 different enzymes, these capsules are specifically designed to tackle all digestions woes in order to prevent bloating and encourage healthier, happier digestion. And guess what. It totally works. 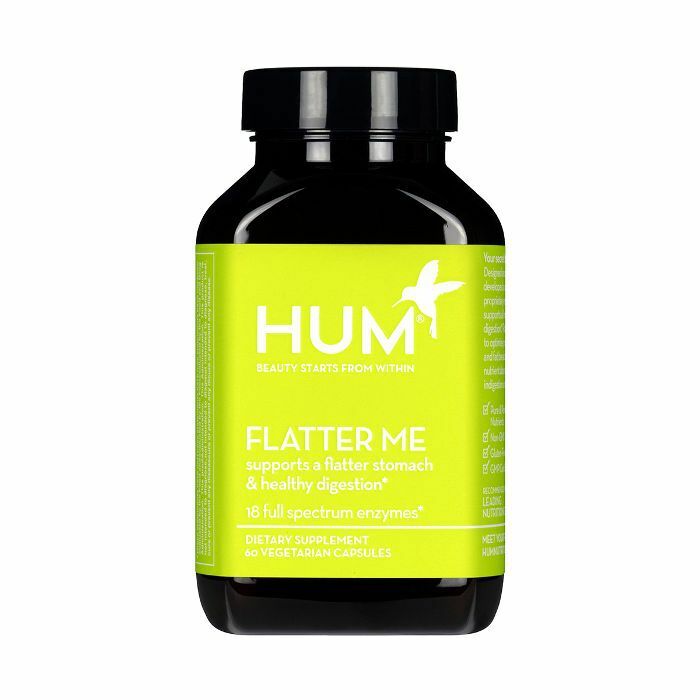 Plus, in addition to the targeted enzymes which tackle the specific and separate breakdowns of proteins, fats, carbs, fiber, and milk sugar, the Flatter Me formula also boasts ginger, fennel, and peppermint—holistically recognized powerhouses which may help discourage nausea, bloating, and digestions issues. "As I said in my opening, I take one capsule before my two biggest meals per day (lunch and dinner) and even after just a couple days noticed a huge difference in the state of my tummy and, um, staying regular." "Celery juice has been a part of my routine for over a month now, and I can honestly say it has made me feel much happier and healthier. During the first week, I already noticed that I had more energy and a bit of a mood boost. I try to avoid caffeine as much as possible, which means that I welcome any natural energy boost I can find. Week two was when I started to really believe in the power of celery juice, though. "As experts say, this juice can kill unproductive gut bacteria, yeast, and mold. Believe it or not, these are the things that can cause unhealthy cravings. After two to three weeks of drinking this magical concoction, my cravings all but disappeared. I love to snack and have a huge sweet tooth, so the fact that I rarely have wild cravings for foods filled with sugar, salt, or grease anymore is reason enough for me to keep this in my routine. Finally, because I've replaced my love for indulgent foods with a love for celery juice, my bloating has disappeared, and I've lost weight. I don't say this because the scale told me, but I say it because other people have told me! Even people who see me every day and didn't know about my little experiment have taken note." 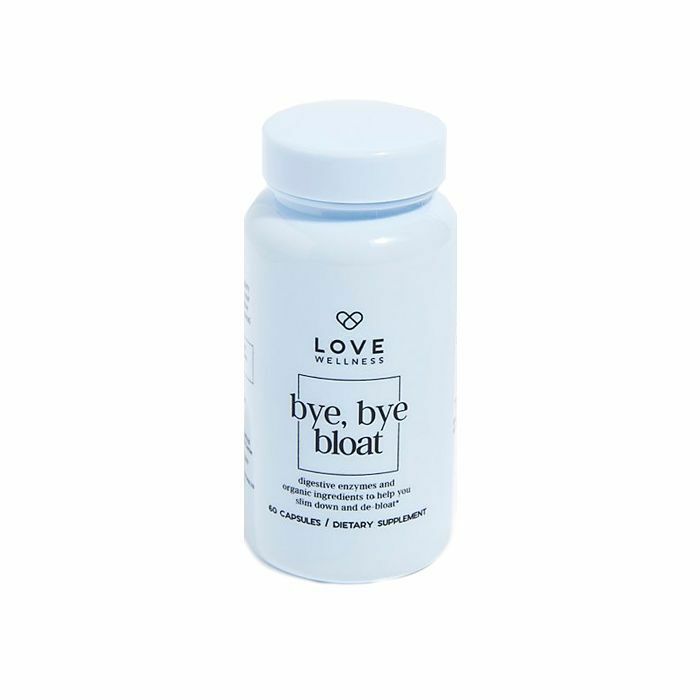 "When I run into unwanted bloating and want to do something about it stat, this supplement is my go-to. It has activated charcoal and fennel to help detox and eliminate any excess gas hanging out in your gut. It's good for a quick fix! To avoid long-lasting bloating, though, I try to drink lots of lemon water and eat as many raw fruits and veggies as possible." "I take either the RMS or Tula probiotics each morning. If I skip a day (or two if I'm really forgetful), I can feel a noticeable difference in my body immediately. Not only do I feel more bloated, but I also feel more sluggish and generally off my rhythm. 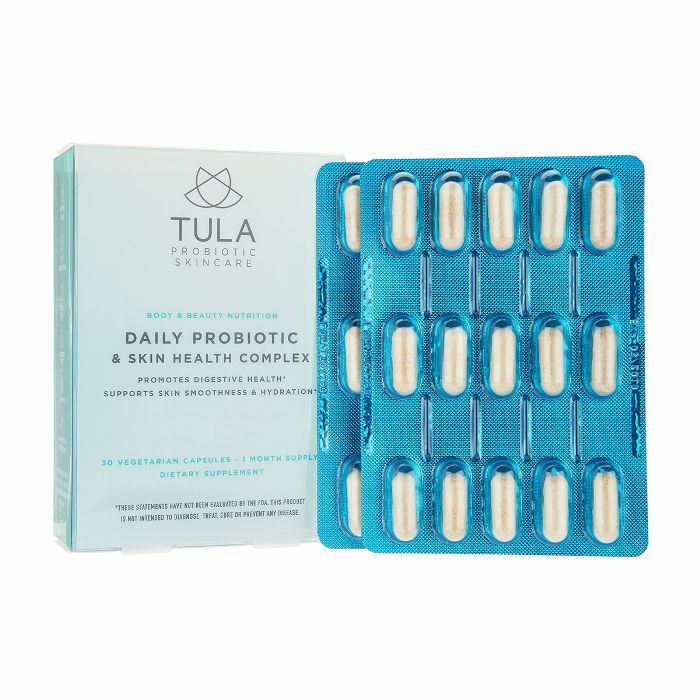 The Tula probiotics are formulated with vitamin C and ceramides to promote skin smoothness and hydration from the inside out. That's along with three different bacterial strains to benefit the gut." 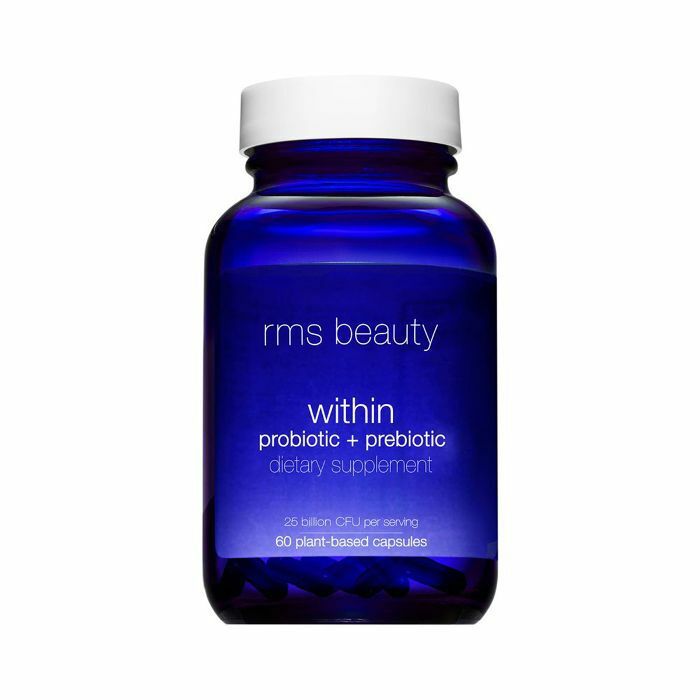 "As for the RMS pick, it's actually a probiotic and prebiotic in one, which means it supports the entire microflora, simultaneously aiding in digestion and immune system."